So most people were VERY upset about this game; because it was really hyped up by gaming media, the developers talked it up like it was going to change gaming forever, and many people felt like the developers promised features that didn't actually end up in the game. I don't and didn't care about any of this. I played the game with basically zero knowledge about it basically because coworker suggested it to me. With zero expectations, the game was pretty amazing. It honestly made me feel like no other game has made me feel - the sense of exploration, discovery, loneliness. 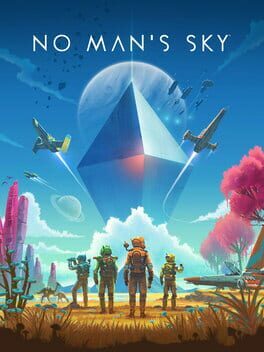 The game feels very big, and it does really make you feel like you are in the universe and there's actually a whole universe for you to explore. That being said, the actual planets felt pretty underwhelming, until you install the big animals/plants mods. With these, the game feels awesome, since you can land on planets with giant spiders and large forests and it makes you feel small. After about 10ish hours of playing the game, it felt pretty repetitive. Finding a new planet and seeing the same deer/blob/crab thing but with just a slight modification will get boring after a while. If there were more variety in the game, it would be more interesting for long: more animal variety, more planet geography variety, maybe different biomes on a single planet.